These days I don't know if I'm coming or going...I spin around rushing from projects to meetings to errands to housecleaning and cooking...and still manage to sit my fanny in front of the computer for way too many hours each day. I grabbed my camera and eased out of a side door onto the deck so that I could snap a few pics. 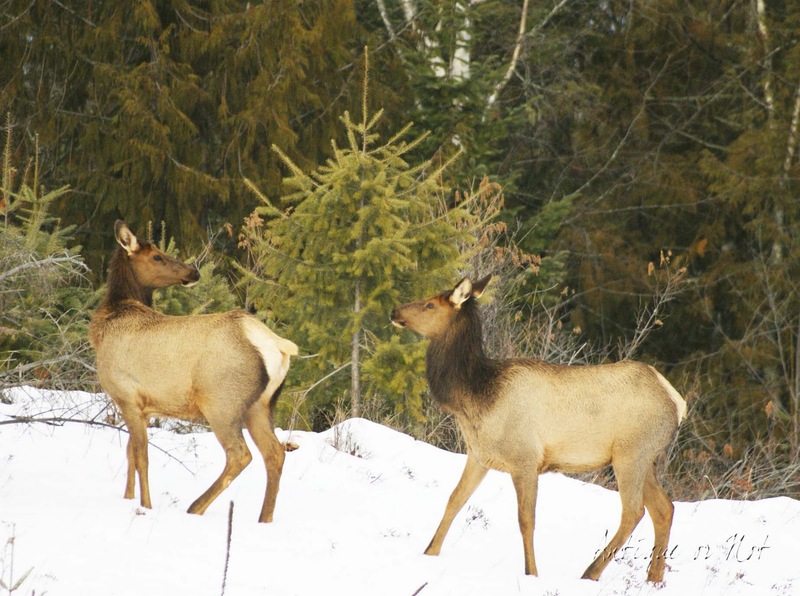 The elk were a lot more skittish than the deer that have made themselves at home here, and froze when they saw me come outside to take a closer look at them. They let me take pictures for five minutes or so before they spooked and bounded over the ridge into the forest. This is the closest I've ever been to elk before...now I'm ready for a moose! I don't know if you noticed the badge on my sidebar, but I've joined with Diane of Lavender Dreams and many other bloggers for the A Month of Letters challenge begun by writer Mary Robinette Kowal. Today is the third of the month and I've only mailed one letter so far, but today I'll mail two and catch up. I've bought a few Valentine's Day cards to mail soon and those will count too. Mary's reminder for us to slow down and reconnect with friends and family in a deeper way fits right in with my "live simpler" mantra, yet chafes against my modern need for instant communication. There's a duel being fought in my heart right now—but I'm hoping that "simpler" wins. 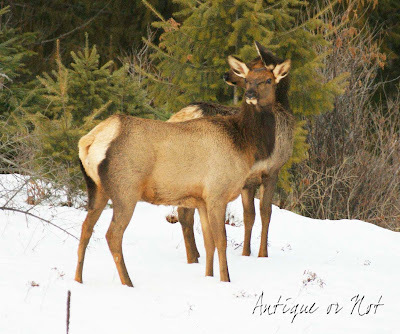 I just blogged about the deer I had in my yard, but that was nothing compared to these beautiful creatures. Thanks for sharing! Beautiful pics, thanks so much for sharing. 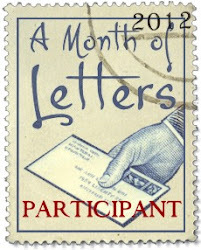 As a mailman's wife I want to personally thank you for participating in the "A Month of Letters" challenge. Wow, love that picture, what beautiful animala! 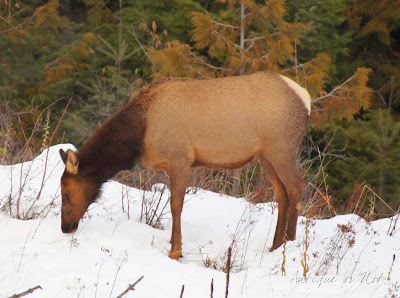 Love your photos of the elk. We have friends the used to live in the foothills of the Rocky Mountains and we will go out driving around just to see the herds of elk. They are such beautiful creatures. I'm amazed by the photos. I think you're so fortunate to live in such a beautiful place. I wish I could do the challenge but I'd never mail that many pieces of mail. Your elk pics are fantastic! That is so awesome they came in your yard like that! Aww! They are so cool! I would flip out if I saw a real moose outside my window. I would love it!